In medium saucepan, bring broth to a boil. Add macaroni; return to a boil. Cook 8 to 10 minutes or until macaroni is tender and a slight amount of broth remains. Do not drain. Meanwhile, prepare broccoli as directed on package. 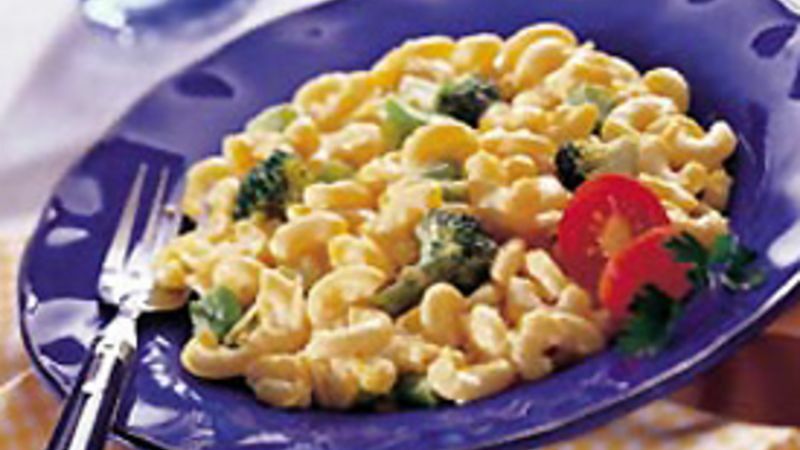 Add broccoli and Cheddar cheese to cooked macaroni; toss gently to mix. Sprinkle with Parmesan cheese. If desired, garnish with cherry tomatoes and fresh parsley.